Zinedine Zidane has been re-appointed at Real Madrid following their turbulent season under both Julen Lopetegui and Santiago Solari. The final straw for Solari proved to be their exit in the Champions League against Ajax, although he remained in charge for their 4-1 win against Real Valladolid last weekend. 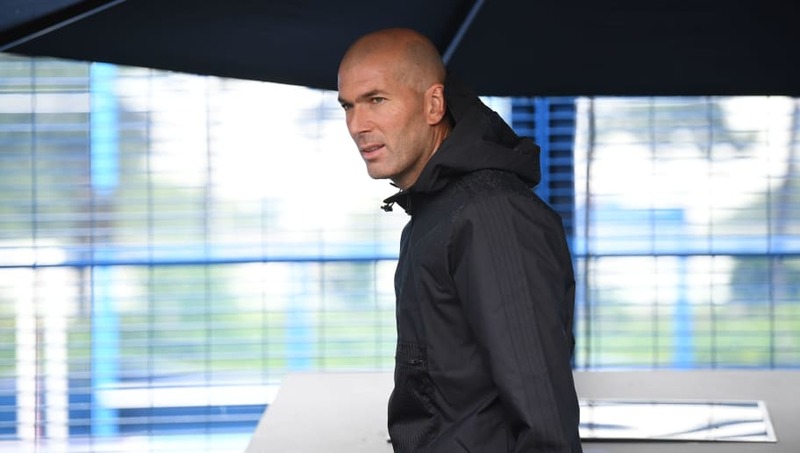 Their third managerial appoint of the last 12 months has Zidane back in the hot seat at the Santiago Bernabéu, but the financial demands that their chopping and changing could bring isn't going to put the club under too much strain. El Confidencial confirmed that Zidane's new deal - which runs until 2022 - is for a fixed €12m, which could increase slightly based on Real Madrid's performances across all competitions. The Frenchman's contract works out as exactly half of Diego Simeone's new deal across the road with rivals Atlético Madrid. Los Blancos were also targeting a number of other managers to take over at the end of the season, but Zidane has worked out as the cheaper option for them as José Mourinho's last deal with Manchester United was worth €20m. Mauricio Pochettino, meanwhile, will earn €10m over the course of his deal at Tottenham, but hiring a head coach who is already tied to another club would have also seen Real Madrid forced to fork out for compensation. Zidane was earning just €2.5m when he was first promoted for Real Madrid's Castilla side into the first team in January 2016. He went on to lift nine trophies with the club - including three consecutive Champions League titles - before announcing he would leave at the end of last season. The 46-year-old has been linked with managerial positions at Manchester United and former club Juventus throughout this season, but his sabbatical has finally come to an end after stepping back in to steady the ship in Spain's capital.